Local politics in the town of White Settlement, Texas—a place otherwise notable for refusing to change its name—are getting a little catty. 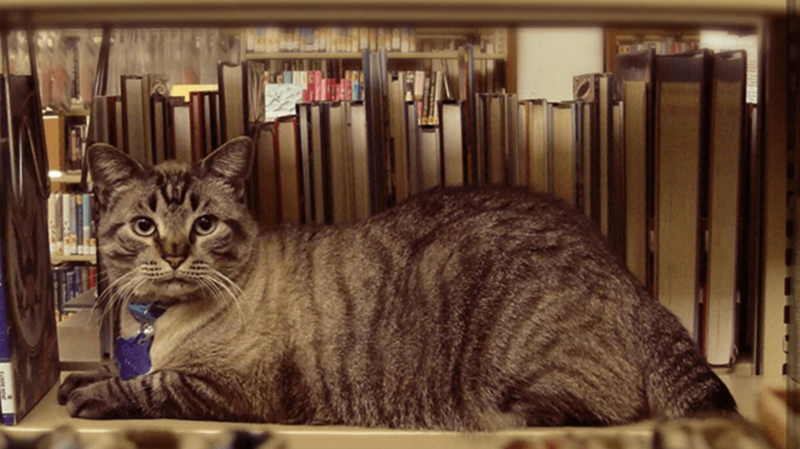 The Fort Worth suburb’s city council recently fired its library cat in what the mayor said was political retribution, as Gawker reported. Cats have a long history of working in libraries, where they keep rodents from chewing up valuable reading material. Feline assistants are employed at libraries all over the world. Update: ABC News reports that Browser has been reinstalled as the library's official mouser. The city council unanimously reversed its decision in a vote on June 24, led by the council member who first introduced the campaign to push the cat out. More than 1500 people from around the world emailed the mayor in support of Browser’s continued presence at the library.